East Meadow #1 Pet Stain & Odor Removal Service. Pets are an amazing part of many people’s households. If you live with a cat or dog, you most likely consider your furry friend to be another member of the family. However, these cute balls of fur can leave their marks on more than just your heart. Pet odors and stains often arrive hand in hand with pet ownership. However, there is no need to live with these stains and odors forever. Allure Carpet Cleaning provides safe and effective Pet Stain & Odor Removal in East Meadow. Our proven treatments can get even the most difficult stains out of your carpets and upholstery and can help your home smell amazing once again. With our services, there is no need for you to live in an unwelcoming environment or feel embarrassed about inviting over your friends. We provide solutions that are far more effective than DIY solutions are. Professional cleaning goes beneath the surface of the carpet or upholstery fibers to deep clean and remove every last bit of stain or odor that might be present. In addition, we use dry cleaning so that you do not have to worry about mold or mildew growth. One thing you might be worried about with pets in your home is the chemicals that we use for deep cleaning. We use only the safest organic cleaning solutions for Pet Stain Removal in East Meadow. Our products are safe for the environment and will not leave your home filled with chemical odors. Plus, you can feel confident in letting your pets and even your children play on the carpets as soon as the cleaning is complete. You will also benefit from our certified technicians who provide Pet Stain & Odor Removal East Meadow. All of our technicians undergo extensive training as well as continuing education so that they know the newest and safest cleaning techniques. Each technician has also been certified by the Institute of Inspection, Cleaning and Restoration and the Restoration Sciences Academy for your peace of mind. 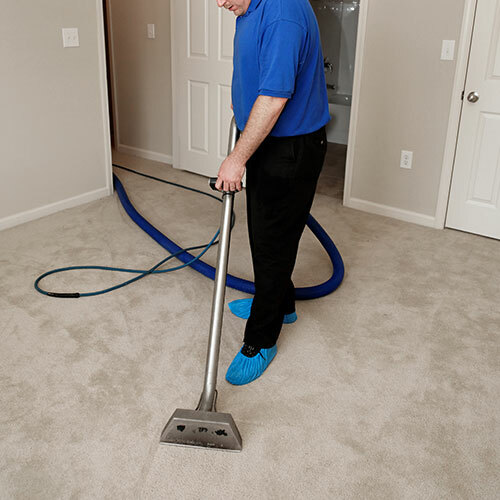 When you choose Allure Carpet Cleaning for your Pet Odor Removal in East Meadow, you will be benefiting from our experience and our safe professional products for dry organic carpet cleaning. You can expect the following benefits with our services. If you live with furry friends of any size, Allure Carpet Cleaning is your ideal choice for Pet Stain Removal in East Meadow. We can get your carpets and upholstery smelling fresh and clean once again without using any toxic or harmful chemicals. Experience what has set us apart from the competition since 2010 by making an appointment with us today. Contact our office to get started.